I have been thankful for the friendships that have been opened up to me through our occasional attendance at the afternoon services of the Christian Fellowship of Siem Reap. It is a great blessing for God’s people of a variety of denominational affiliations to meet together on a regular basis for fellowship and worship. The manner of worship is a bit different for this Old School Baptist, but the people are good, and I am hopeful that by His grace God will continue His work among them. Meanwhile, I have been meeting with the once each month men’s fellowship, including hosting the meeting for the month of November here in our home. On Sunday, November 8, 2009, in the absence of the scheduled speaker, Pastor Ivor Greer, I was asked to preach to the assembled saints. I attempted to speak on the context and emphasis of Ephesians 1:1-14. I pray that it was a blessing to the folks there and that God will continue his blessings through his word. The theme of Ephesians is being continued throughout this month in the preaching of Pastor Greer. A special blessing which entered our life on that Sunday, was the presence of Pastor Roger and Maree Hesketh from Tazmania, Australia. Roger and Maree are on the last leg of a multi-week vacation from his pastorate. They had discovered our blog page and in spite of our failure to list contact information, were looking for us at the service. Their stay in Siem Reap was a tremendous blessing and encouragement to our entire family. I hope to add more on this later. The past few weeks have been busy ones indeed as I have been attempting to commit myself more wholly to study and to preaching the word. It was refreshing, albeit tiring to leave the family here in Siem Reap last week for a three day jaunt over to Pailin City and western Battambong Province for a minister’s meeting. The meeting was hosted by Brother Keuy Kong at the meeting house adjacent to his home in KomReang village. 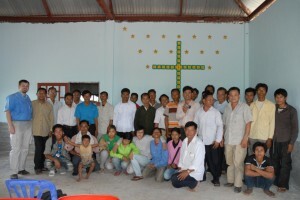 Brother Kong is a 52 year old farmer/preacher who has proven himself to be a devoted leader of the believers in his area. 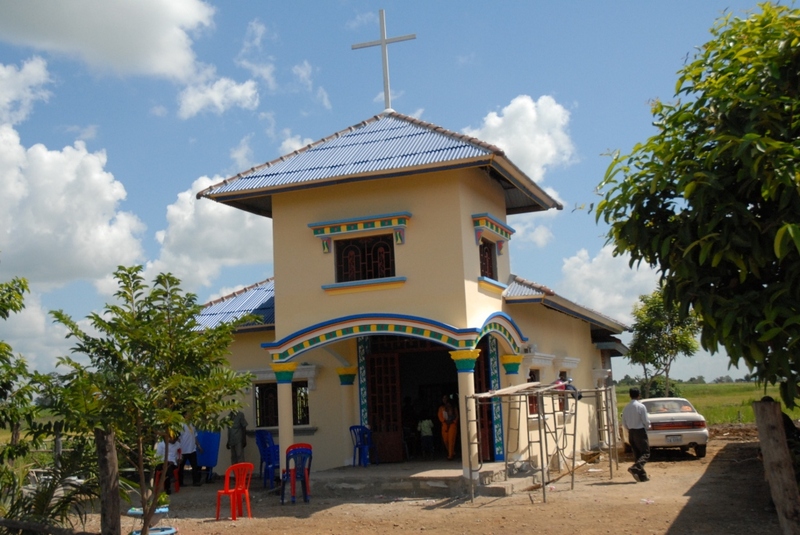 Kom Reang is about 5 Km from the Thai/Cambodian border crossing of Ban Laem, just north of the boundary of Pailin City district. We began on Wednesday morning early with a series of messages on a variety of topics including salvation by grace, ecclesiology (the doctrine of the church) and a variety of related topics. I was very thankful for the opportunity to spend a lot of time in question and answer sessions with the brethren and was able to address a number of misunderstandings and/or issues of confusion regarding Biblical concepts as well as Primitive Baptist practice. Group photo of congregation in attendance. before as well as at least five that I had not had the privilege of meeting before. At the conclusion of our meeting, a number of individuals presented themselves for baptism upon profession of faith in Christ alone for salvation and agreement with the doctrine and church heritage expressed in my messages. After extensive discussion and instruction regarding the gravity of such a request, those whose minds were set upon baptism were received and immersed in a nearby stock tank. The baptism of these brethren and others only increases the urgency and the volume of work that is required of me in the months ahead. I find the burden of providing training resources and individual mentoring to each of these men to be increasingly heavy. I am ever conscience that the work is greater than either myself or Brother Dara can bear. Nevertheless, this realization points us to the One whose work it is. 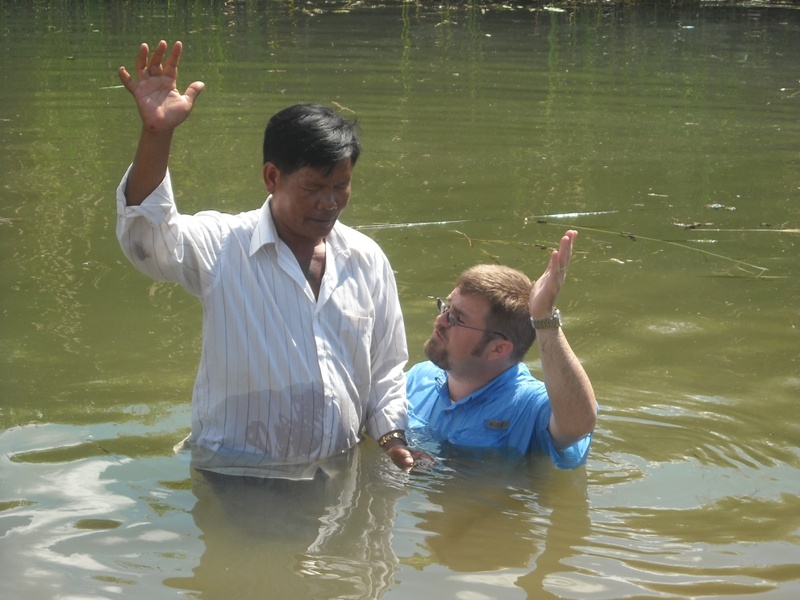 Please join in prayer that God will supply the needs of His infant church congregations and potential pastors in Cambodia. 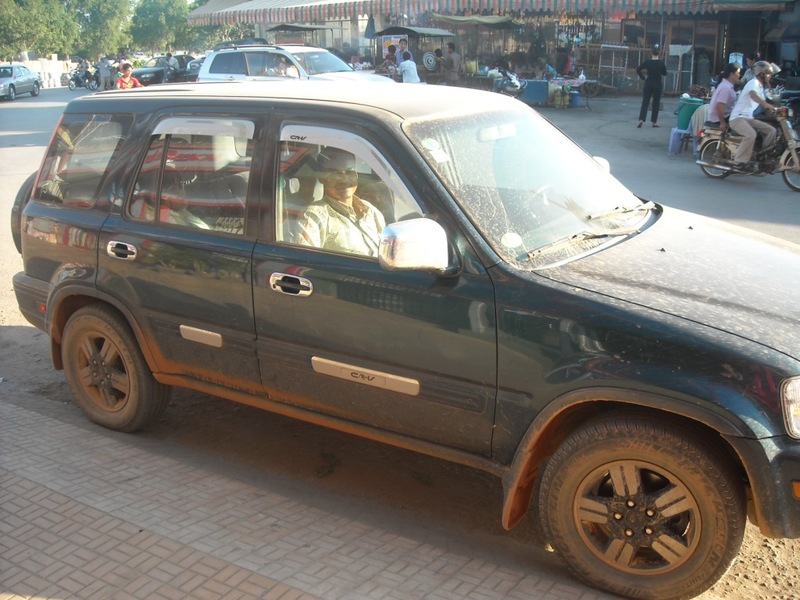 The Old CRV has been put through it on the roads of Battambong.